We understand the importance of event branding and brand recognition, ensuring the right message is communicated effectively and consistently. Offering the widest range of event graphics solutions for live events, experiential marketing and product launches with fast lead times and volume discounts, our team works alongside creative and event production agencies to produce the highest quality graphics, giving brands maximum stand out. With a wide range of solutions, we are able to provide a high level of consistency across a range of different production materials, methods and finishing, ensuring you have brand uniformity across every event, all available from one single supplier. 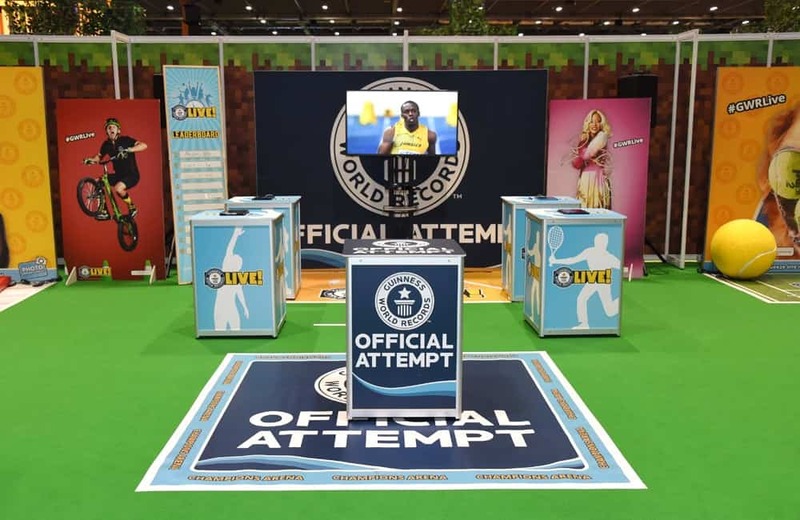 We offer everything an event requires to maximise brand impact from top to bottom, including event banners, toblerone signs, backdrops and flags. Add branding to your event perimeters and crowd barrier banners, or offer visitors relaxation and shelter with branded deckchairs, parasols and event tents. You can also talk to us about wayfinding signage, keeping all event communications on brand. 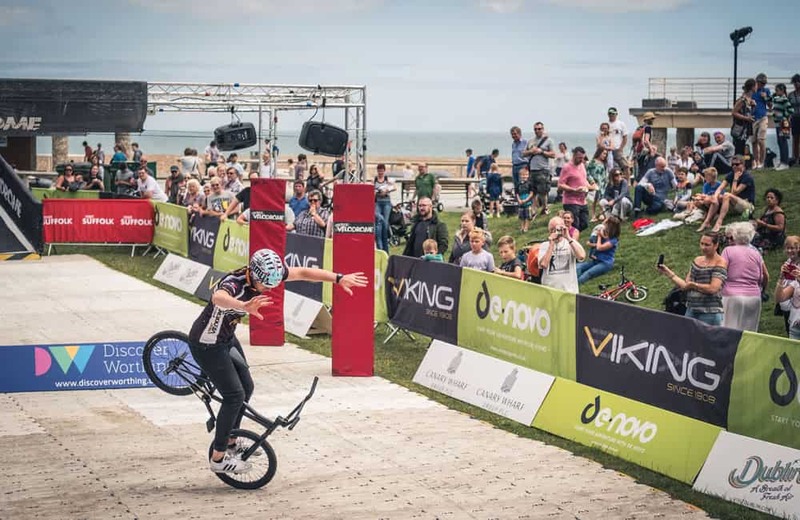 Much of your event hardware presents branding opportunities as well as being functional, such as perimeter fencing, crowd barriers, deckchairs and parasols. 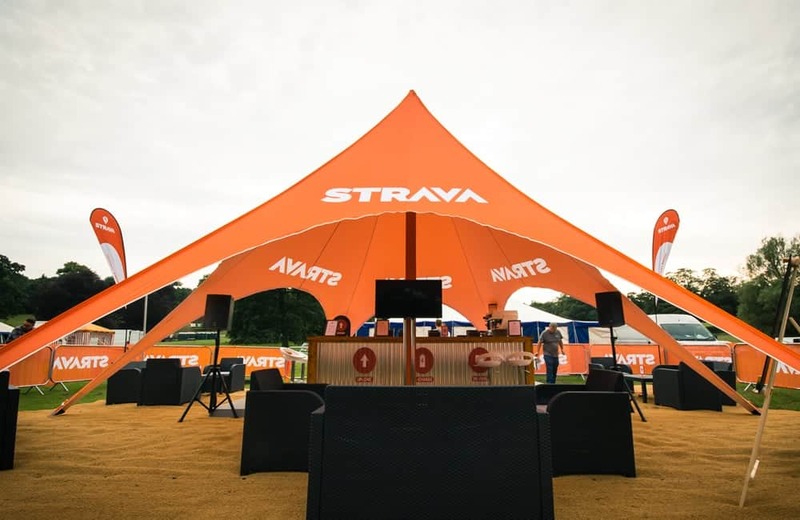 Branded pop up gazebos and stylish star tents are powerful event branding solutions, while also providing shelter for your own team and visitors at outdoor events. Many of our products are rebrandable, making them ideal for sponsor-driven activities and can be reused at different events. Everything to brand your event, custom printed and finished in-house.